Wait no longer, it’s time to break out the sunscreen and shades! Pulau Hantu means Ghost Island in Malay and seems fitting for an island that is hauntingly beautiful. The name comes from folklore that the island used to be a battlefield for Malay warriors. Their ghosts are now rumoured to wander the island hence the name. Despite its name, the island has white sandy beaches and palm trees, making it perfect for a picnic. There are a public toilet and a few shelters as well. 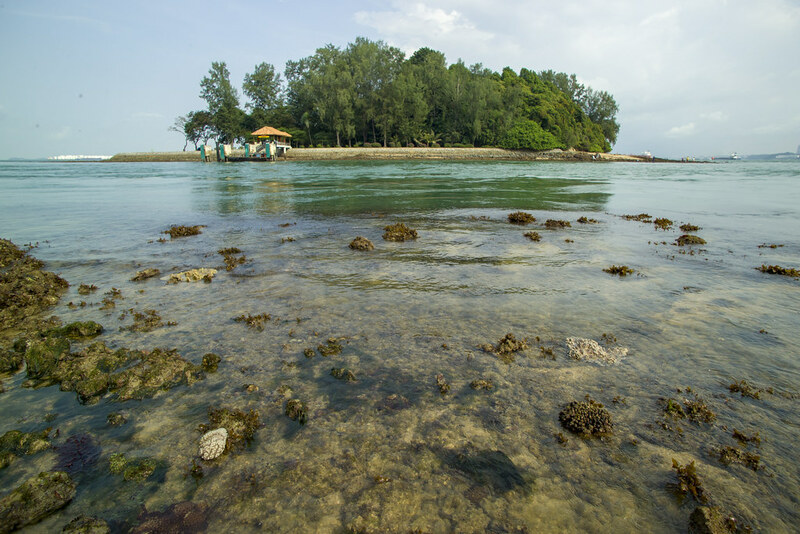 The most popular activities on Pulau Hantu are definitely snorkelling and diving. 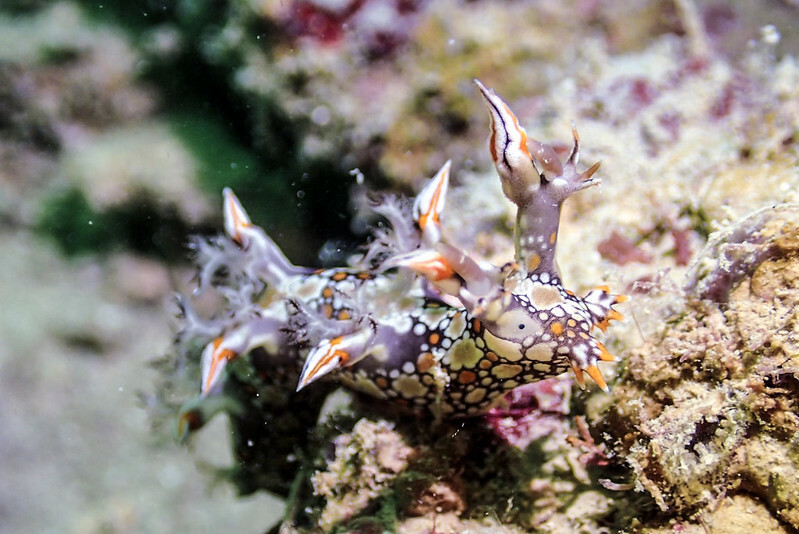 The diverse and colourful marine life is a must-see. How to get there: There are no regular ferries to the island. Charter a boat from West Coast Pier (price depends on boat operator). Otherwise, you can sign up for a diving trip with The Hantu Bloggers to get there. 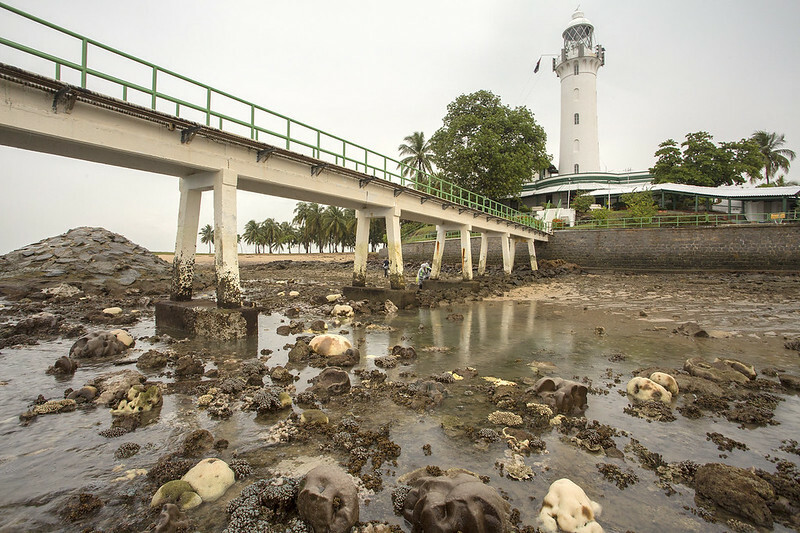 The iconic Raffles Lighthouse keeps watch on Pulau Satumu. 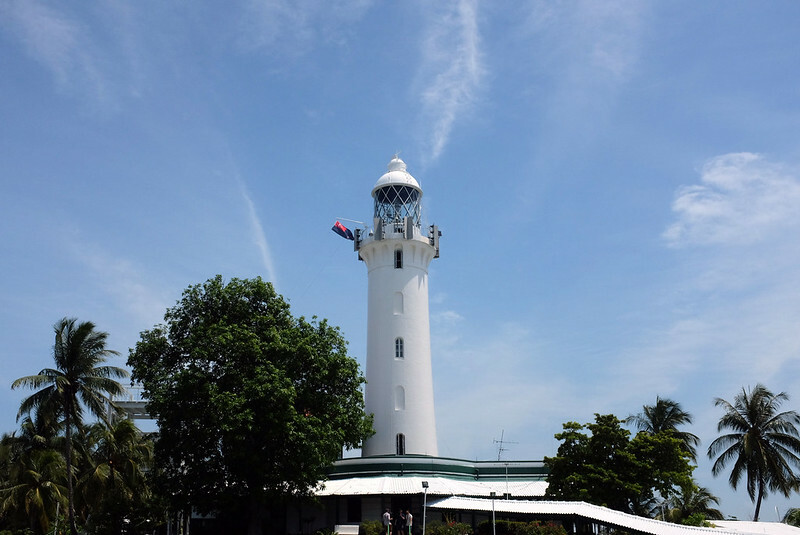 It is the second oldest lighthouse in Singapore and still operates to this day. The lighthouse, which was dedicated to Sir Stamford Raffles, started construction in 1854 and was completed in November 1855. The lighthouse is no longer manned although a crew is still responsible for its maintenance. The tower is now solar-powered and timer-activated. It still makes for a good Insta post because you don’t get to take a photo with a lighthouse in Singapore very often. The island and its lighthouse are only open to the public during special visits or occasions. How to get there: You can only visit Pulau Satumu during the Maritime and Port Authority of Singapore’s (MPA) Learning Journeys (unless you’re super special and have special permission). These learning journeys are usually held during the Singapore Maritime Week annually but happen occasionally throughout the year too. Many Singaporeans are familiar with the Semakau Landfill but only a few know about the beautiful scenery that is on the other side of that landfill. The Semakau Landfill is the country’s first offshore landfill which commenced its operations in 1999. 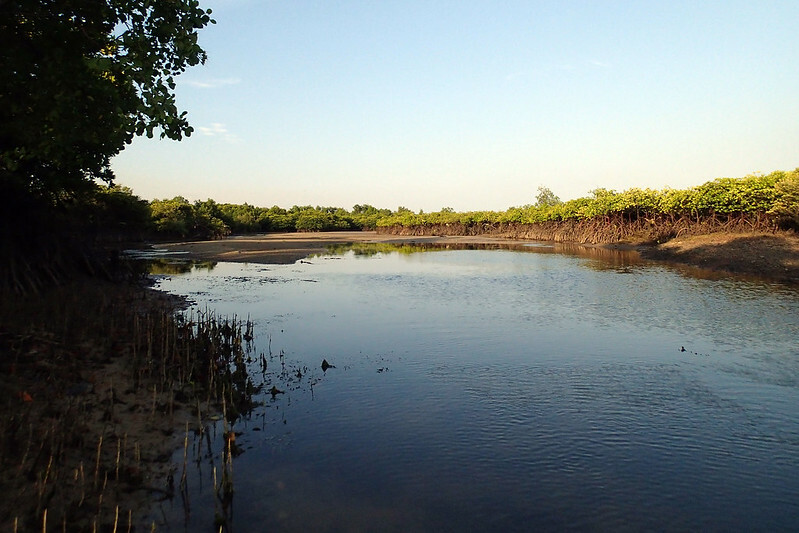 Before reclamation into a landfill, Pulau Semakau was home to a small village. The villagers moved to the mainland in 1991 as the island prepared to be developed into a landfill. 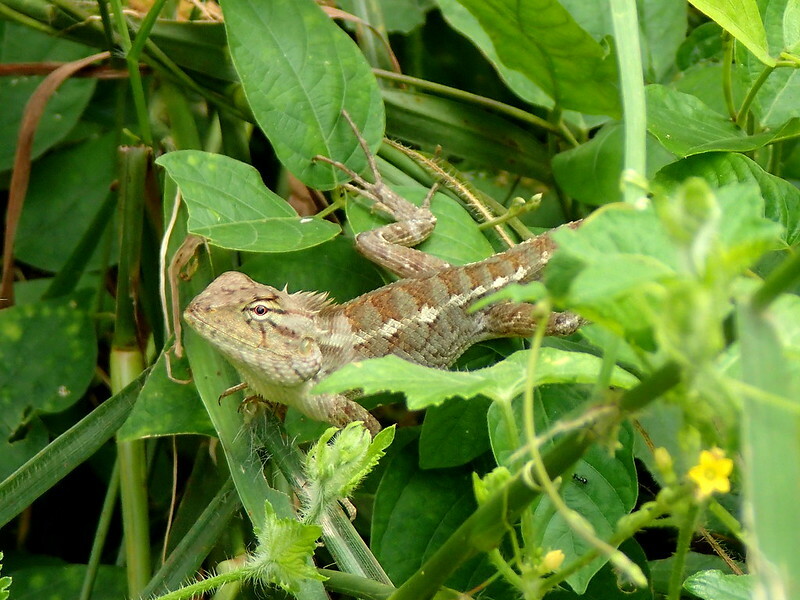 Although the landfill occupies a part of the island, the rest is still relatively untouched nature. The flora and fauna include coral reefs, seagrass meadows and mangroves. How to get there: You can only visit Pulau Semakau through special tours or visits such as intertidal walks held by Lee Kong Chian Natural History Museum (LKCNHM), birdwatching by Nature Society, stargazing by The Astronomical Society of Singapore (TASOS) and lastly, special permission from NEA. Technically, this recommendation consists of a pair of islands named jointly as the Sisters’ Islands. Legend has it that it was named after two sisters who escaped their captors and drowned at sea. Their bodies were then transformed into these islands. The islands are now home to Singapore’s first marine park. These islands will be a safe haven for the diverse biodiversity in its surrounding waters. Singapore’s first turtle hatchery can also be found in this marine park. To maintain the rich flora and fauna, no camping, barbecuing or fishing is allowed. 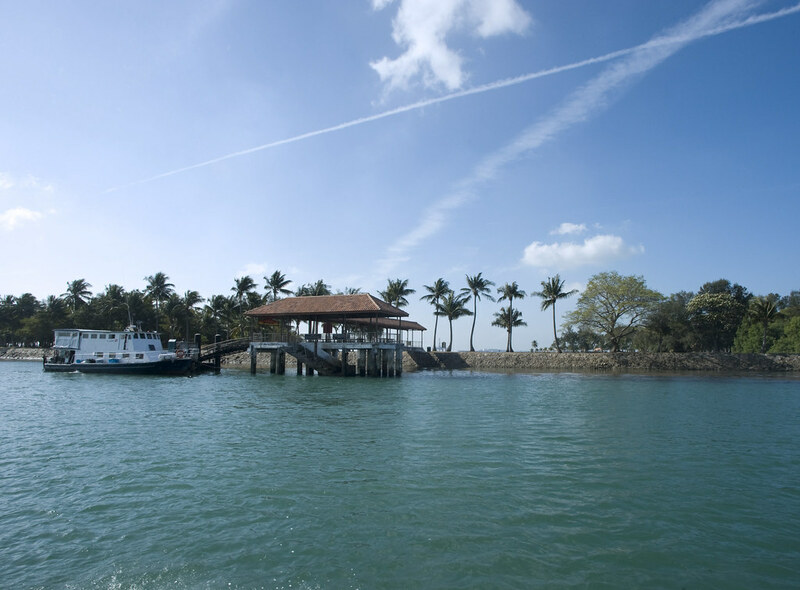 How to get there: Charter your own boat from West Coast or Marina South Pier. Take note the island is only open to the public from 7 am – 7 pm. On the other hand, you can join guided intertidal walks organised by NParks. Kusu Island before land reclamation resembled the shape of a tortoise hence its name Kusu which is tortoise in Hokkien. Legend has it that a Chinese and Malay men who were shipwrecked were saved by a giant tortoise and brought to this island. As a sign of gratitude, they respectively built a temple and shrines on the island. 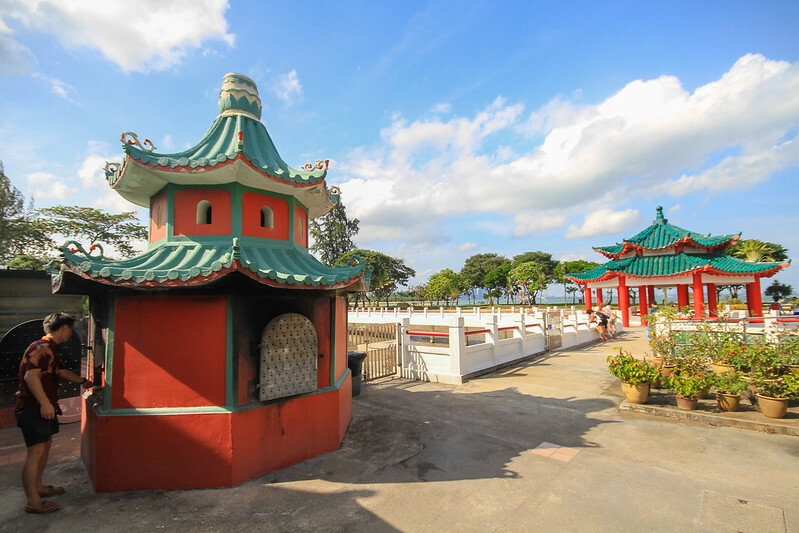 On the ninth month of the Lunar Calendar, about 130,000 visit the island’s temple to pray to the God of Prosperity and the Goddess of Mercy. Additionally, there is a tortoise sanctuary which is home to over a hundred tortoises. How to go there: Take a regular ferry from Marina South Pier. The schedule can be found here. St. John’s Island has a slightly dark past in stark contrast to what it is today. It was first utilised as a place to quarantine cholera-stricken Chinese immigrants and then subsequently a screening centre for other Asian immigrants and Muslim pilgrims returning from Mecca in the 1930s. That’s not all. It was then used as a detention centre for political prisoners and leaders of secret societies in the 1950s. After that, it was used as a rehabilitation centre for opium addicts. However, it was redeveloped in 1975. St. John’s Island now hosts two research facilities, a few holiday bungalows, picnic areas and beaches. It’s also home to many stray felines who are taken care of by feeders from time to time. Perfect for a weekend getaway. 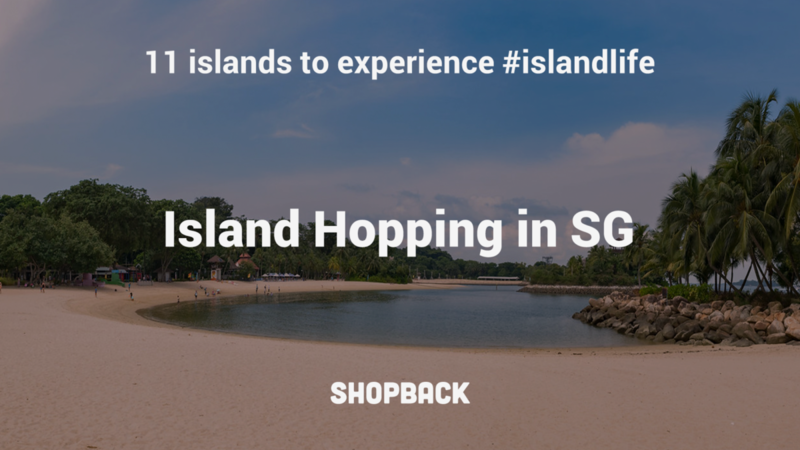 How to get there: Take the same regular ferry service that goes to Kusu Island from Marina South Pier. The ferry stops at St. John’s Island along the way. 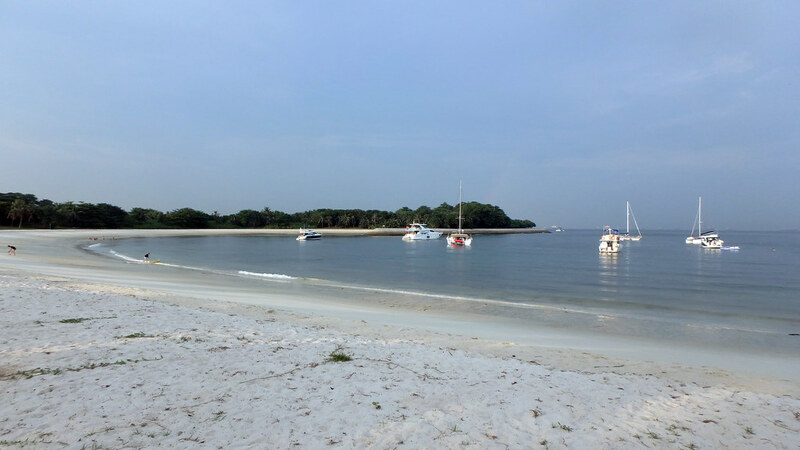 Lazarus Island is connected to St. John’s Island and is close to Kusu Island. It is well known for its man-made lagoon which has one of the most beautiful beaches in Singapore. It’s the perfect spot for a picnic and suntanning. Since Lazarus Island is connected to St. John’s Island by a rock bund, you will find a lot of stray cats on this island as well. 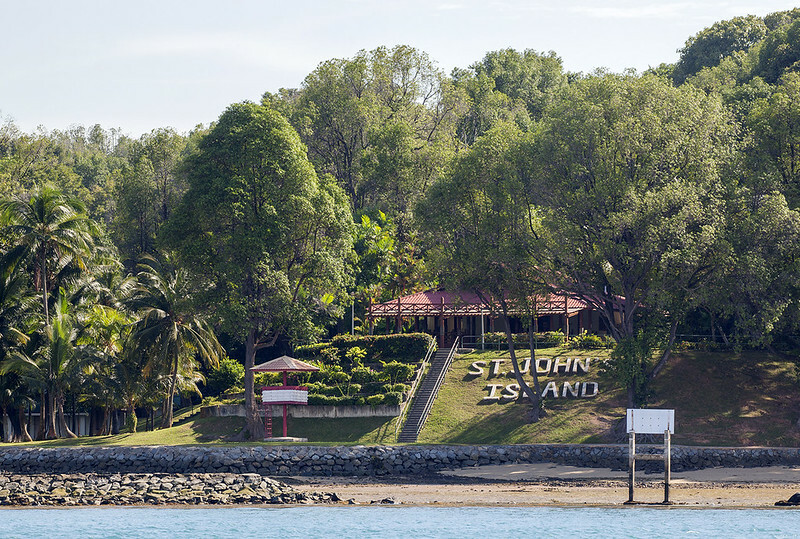 How to go there: Take the ferry to St. John’s Island and then walk to Lazarus Island on the rock bund. You can also charter your own yacht/ boat and dock at the lagoon. The naming of Coney Island can be a bit confusing (if you were born before the 1900s). It was originally known as Pulau Serangoon and the original Coney Island in Singapore is now known as Pulau Satumu. 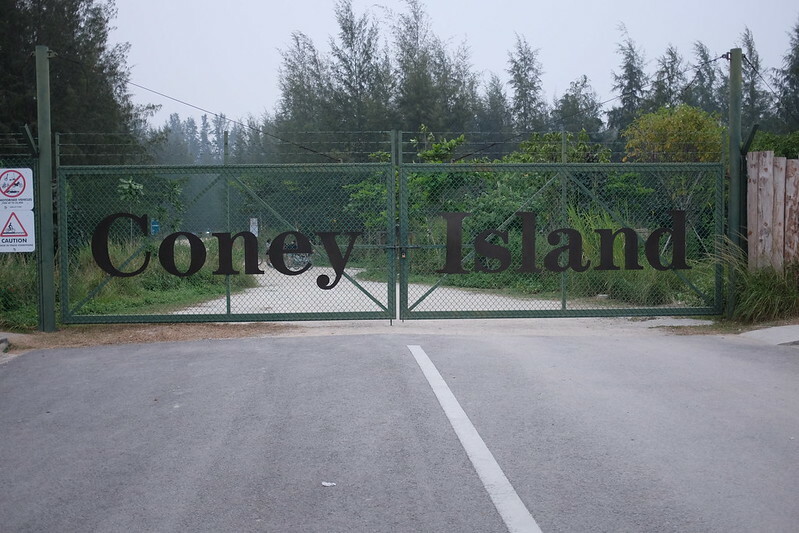 The reason Pulau Serangoon’s name was changed to Coney Island was because of the previous owner, a businessman, wanted to remodel it after the famous Coney Island in the US. Coney Island took the headlines when a wild and lonely cow was discovered wandering the island. Its origin still remains unknown as no one reported a missing cow. Sadly, it passed away in 2016 after spending a few years on the island. Coney Island is largely a national park which tries to show as much untouched nature as possible. There is only one toilet on the whole island, a few shelters and hardly any lamps. However, this untouched scenery is best for a cycle. Keep a look out for all the wild and wonderful creatures! How to go there: Take Bus 84 from Punggol MRT to Punggol Rd End. Walk to Punggol Settlement from the bus stop and you will see directions to Coney Island from there. No need for a ferry yay! 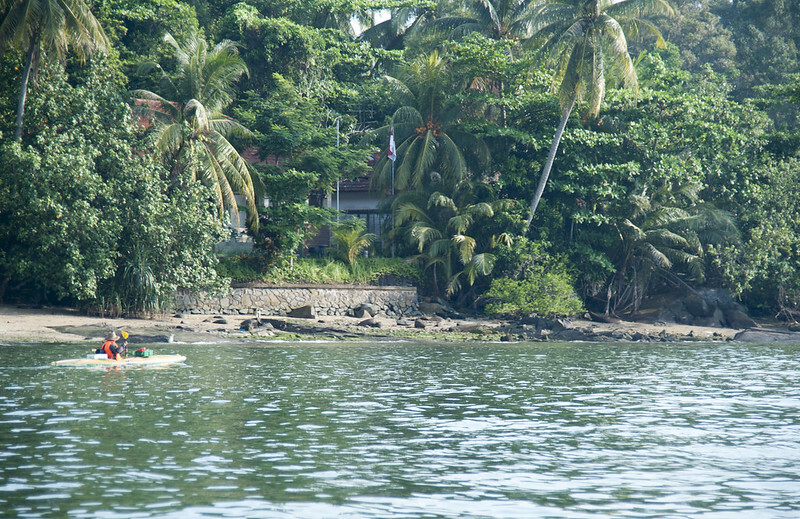 Pulau Ubin is one of the more well-known islands of Singapore. The island used to be a hotspot for granite mining which was the main economic activity of the villagers of the island. However, granite mining was phased out in 1999. Lakes and forests have replaced these quarries, adding to the flora and fauna of the island. 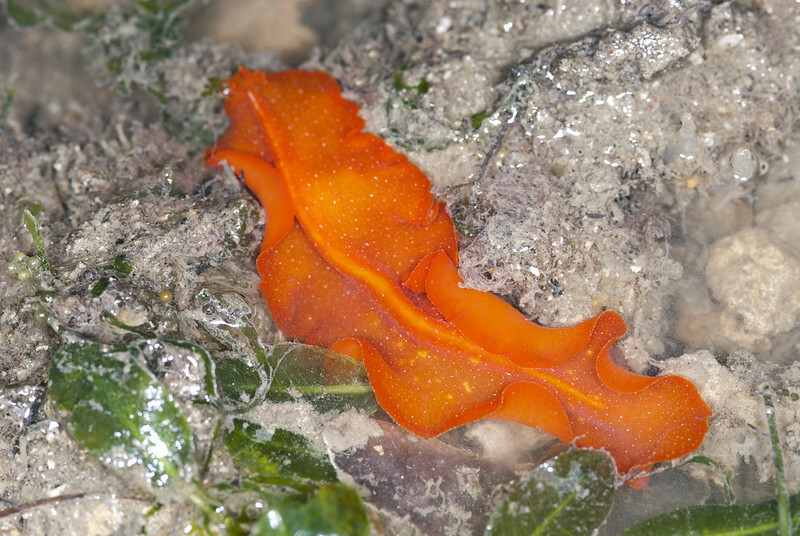 Pulau Ubin is also home to the Chek Jawa wetlands, a coastal habitat with very diverse wildlife. NParks holds free guided tours for Chek Jawa as well as trails within Pulau Ubin. How to go there: Take a bumboat from Changi Point Ferry Terminal which operates from dawn to dusk. These bumboats have no scheduled timings. Easily the most popular island in Singapore, Sentosa is vastly different from what it was in the past. The resort island was rumoured to be a place full of piracy and murder which attributed to its old name: Pulau Belakang Mati (Behind Death Island in Malay). Some other folklore includes the outbreak of malaria on the island which led to the death of many Bugis settlers on the island. 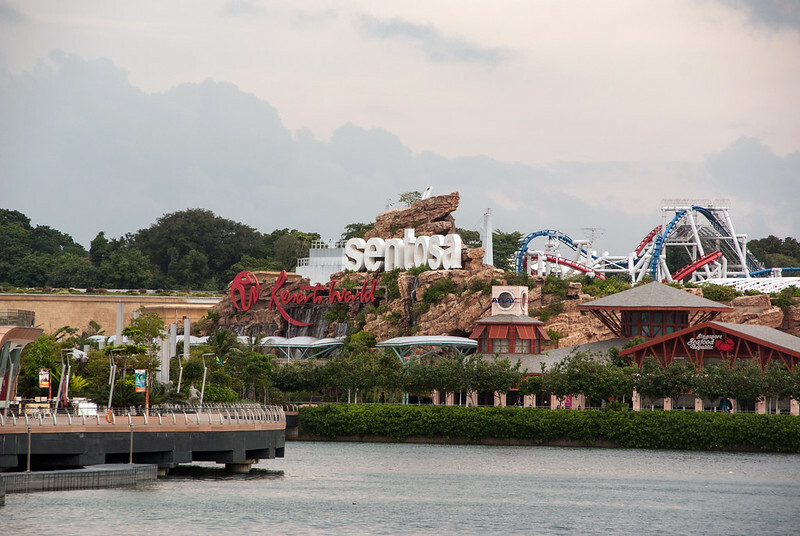 However, Sentosa is now a popular spot for both locals and tourists to spend a weekend of fun. There’s an amusement park, casino, indoor skydiving centre and many more here. There are also beaches (did you know some of them were artificially constructed?) for you to absorb some Vitamin D or play some beach volleyball. 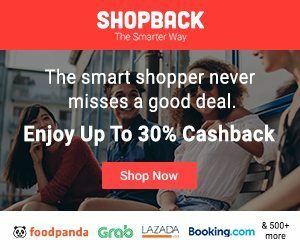 How to go there: You can drive in, take bus 188R & 963R (weekends and public holidays only), take the monorail from VivoCity shopping centre, take the cable car from Mount Faber or lastly, walk across a bridge. 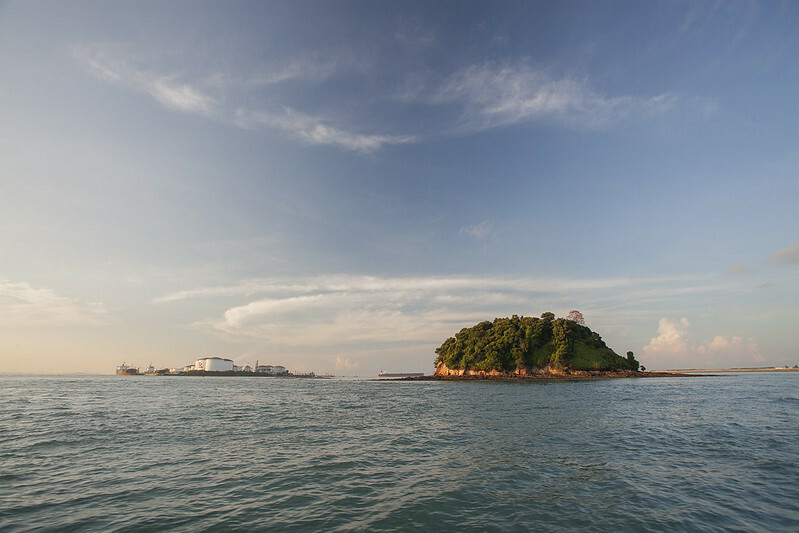 Pulau Jong is a dome-shaped island which is uninhabited and almost literally has nothing to see. Well, almost. The shores of Pulau Jong are covered with coral reefs teeming with life. Some conservation groups do visit the island from time to time to check on the coral reefs. Visitors to the island have also said that the sunrise at Pulau Jong is mesmerising. The name of the island loosely translates to Junk Island in Malay. This is because the island looks like a Chinese junk from afar. There is also a story that accompanies the name of the island. It is told that a Chinese junk was attacked one night by Malay pirates. The captain awoke as the pirates boarded the ship and shrieked loudly in shock. In response to the shriek, a spirit of the sea turned the whole ship into an island. Pulau Jong can only be visited with permission from the Sentosa Development Corporation. Visitors should enter at their own risk as there is no infrastructure and the island has a lot of steep cliff faces. Best for people who literally want to experience some time alone on an island. How to go there: Only accessible if you get special permission. Charter your own boat from Marina South Pier or Pasir Panjang Ferry Terminal.